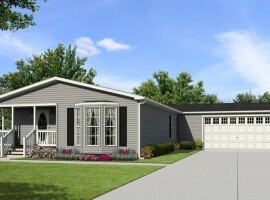 The James Show Model | Rock Oak of Clarence - 55+ living that just makes sense. This model provides a spectacular first impression. As you walk in the front door, you’ll see a spacious living room and a very large dining room that flows through the kitchen and into the adjacent morning room. The morning room is also perfect as a sitting room, guest room or home office. The James is truly a home with modern flair! 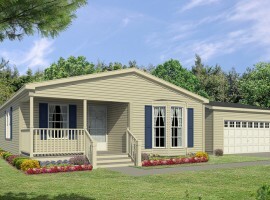 To showcase some of the design options Rock Oak offers, the James show model design has been outfitted with an upgraded, 23′ x 24′ 2-car garage and a full 8′ x 28′ front porch entering into a foyer with ceramic tile and twin entrance closets. 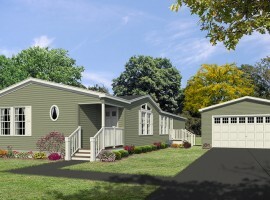 The home as shown offers two bedrooms, two baths and 1600 sq. ft. of living area.